Don’t you love these words from God to Joshua and us; “Do not be afraid, for the Lord is with you wherever you go.” Don’t you want to be courageous and not be intimidated, manipulated or fearful? Don’t you want faith when you are up against all odds in battle? 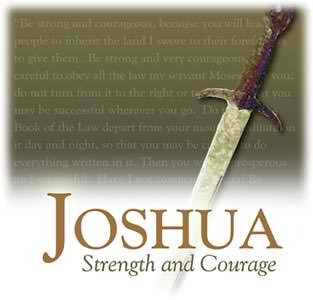 Join me as we see how God made Joshua “strong in battle” and how God will make us “strong in battle” today.